In a previous article, Was Paul an apostle or ‘hijacker? 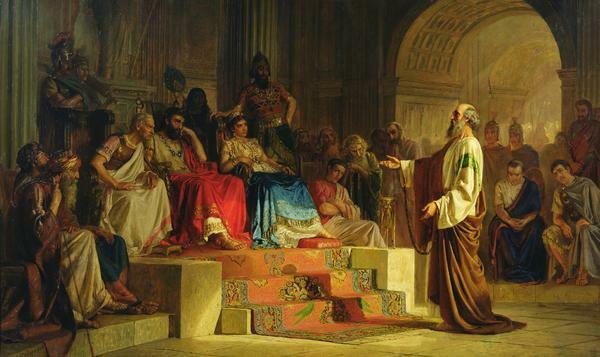 Let’s follow the evidence, I presented evidence from a number of scholars as to the historicity of Paul’s apostleship and the refutation of the Muslim claim of his having ‘hijacked’ the early Church. Since publishing that article, I have come across a number of articles and videos of Muslim clerics and apologists who continue to support and propagate the ‘hijacker hypothesis,’ in spite of the lack of historical and scriptural evidence for their claims. In this article I am presenting further evidence for the historical claim that Paul was indeed a true apostle, follower and teacher of the Gospel (Injeel) of Jesus Christ. In Nabeel Qureshi’s new book, No God But One-Allah or Jesus?, he includes a chapter dealing with the Muslim claim of Paul’s alleged ‘hijacking’, offering further evidence and argument in refuting the ‘usurping deceiver’ and ‘infiltrator of the early Church,’ labels that most Muslims have placed upon the apostle Paul. The common Muslim assertion that Paul hijacked Christianity, imposed his own teachings, and corrupted the true religion not only goes against the biblical records but also is unwarranted from a historical point of view and enjoys very little scholarly support…The problem becomes sharper when we revisit one of the Quranic verses that makes a promise to Jesus: “Indeed, I will cleanse you (Jesus) from those who disbelieve and I will make those who follow you superior to those who disbelieve, until the day of resurrection.” (3:55). Allah promises to make the disciples superior to disbelievers, and Jesus would be made free from such disbelievers. The Muslim view of Paul, that he overcome the disciples and hijacked Jesus’ message, seems to ignore the Quran’s promise to the disciples. In U.S. criminal law, as in other places around the world, three aspects of a crime must be established before a suspect can be found guilty: a means, a motive, and an opportunity. The Islamic view that Paul hijacked Christianity fails to secure any of these three. Paul could not have had the means because Allah promised to make the disciples insuperable: there is no viable motive for Paul to deceive the church as his efforts earned him only persecution and a death sentence; and there is no model suggested that clarifies how Paul might have had an opportunity to overcome all the disciples and hijack the church. Of course, not only should Paul be considered innocent until proven guilty, but as far as this investigation is concerned, there simply is no evidence to convict him. Case closed. Every argument I had once used to convince Christians that the Bible had been corrupted was being dismantled one by one-by the very sources I relied on as a Muslim. (See article, Is the Bible textually corrupt? Muslims say yes, the Qur’an says no!, here) As I discovered this kind of information, the common Muslim belief that Paul hijacked Christianity in its early stages no longer made any sense. The Qur’an specifically says in two places that Jesus and his followers were not defeated by those who sought to corrupt God’s message. It was said that this verse was revealed about the apostles of Jesus, may peace and blessing be upon him. Ibn Ishaq stated that of the apostles and disciples that Jesus sent (to preach) there were Peter and Paul who went to Rome…Allah supported them (the apostles) with evidence so that they prevailed, meaning they became the party with the upper hand. If a Muslim is to take these verses seriously, he simply cannot believe that someone like Paul came along in the earliest days following Jesus’ ministry and completely took it over, corrupting Jesus’ original message while the disciples were still alive to oppose him. if that had happened, in what sense could Jesus’ disciples have been granted victory to the “Day of Resurrection”? If Paul had hijacked Jesus’ message, would this not have made Jesus and his disciples abject failures? To suggest such a thing flies directly in the face of the Qur’anic text and Muslim beliefs that Jesus was a great prophet. The New Testament text leaves no real room for this argument either. For Paul to have been the founder of Christianity by hijacking Jesus’ message, we would have to see evidence in Paul’s writings that he was uninterested in Jesus’ life and teachings and that he espoused teachings inconsistent with Jesus’ core teaching. But we see nothing of the kind. 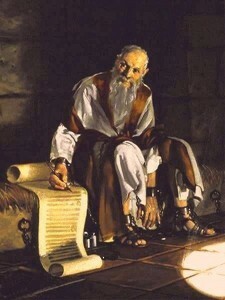 In fact, we find that Paul was interested in Jesus’ life, referring to specific events recorded in the Gospels. In Colossians 3:13, Paul makes a reference to Jesus’ teaching in the Lord’s Prayer that we are forgiven as we forgive (see Mark 11:25). In Galatians 5:13-14, Paul practically quotes Jesus’ teaching that loving our neighbor as we love ourselves fulfills the entire law (see Matthew 22:38-40). Paul specifically mentions several facts in Jesus’ life, including the Last Supper, in which Jesus broke bread and drank wine to show the symbols of the new covenant (compare 1 Corinthians 11:23-26; Matthew 26:26-29).